We talk when a puppie of 3 to 4 weeks we detect that it has a scary behavior. 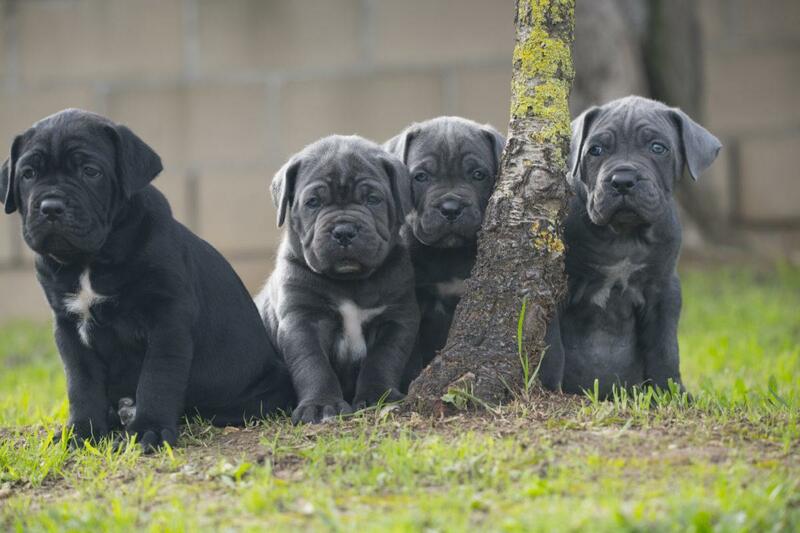 When a Cane corso puppy with 3 weeks we detect that it is more frightened with noises. It is frequent that in a litter, there is always one that is more scary than the others, that does not mean that it has any problem. I could have it in the future if we do not remedy since that day we detected it. 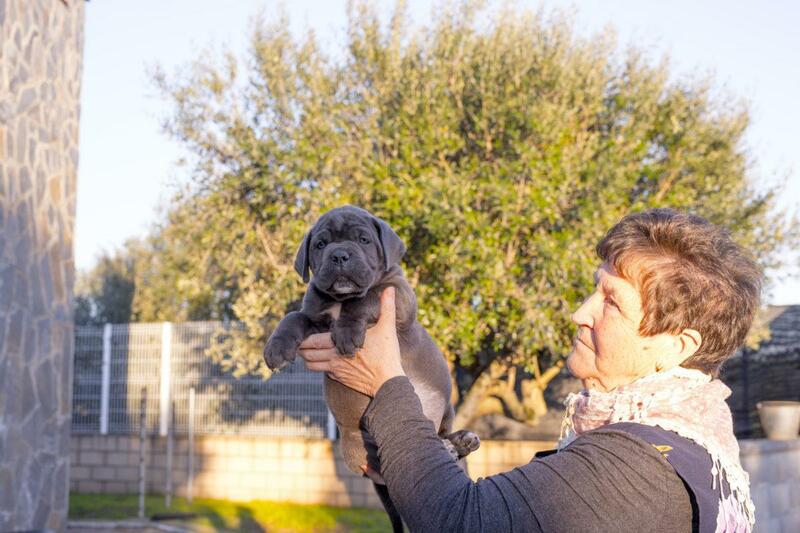 A problem of scary or scary puppy of 6 months, is a problem that requires much more time and work than a problem with 3 weeks, which can be solved faster and easier. Normally although the parents are tested with the character tests and are wonderful and positive, that does not mean that of a litter of 10 puppies can not leave or leave more than 1 puppy that are more scary, we talk about the period they are still with his mother and for example we have them in their farrowing place, in their place where the mother gives birth, later on they will go out to have experiences outside the farrowing place to the outside, in this time, the corso cane puppies are inside with a temperature of about 20 degrees. It is good to fix everything, to see how the breast acts and how the puppies act, for example when there is a different noise, at the beginning without generating them that kind of noise. 4) sing one with a low voice and a little raised tone. 5) Take the phone and look for different noises such as music. 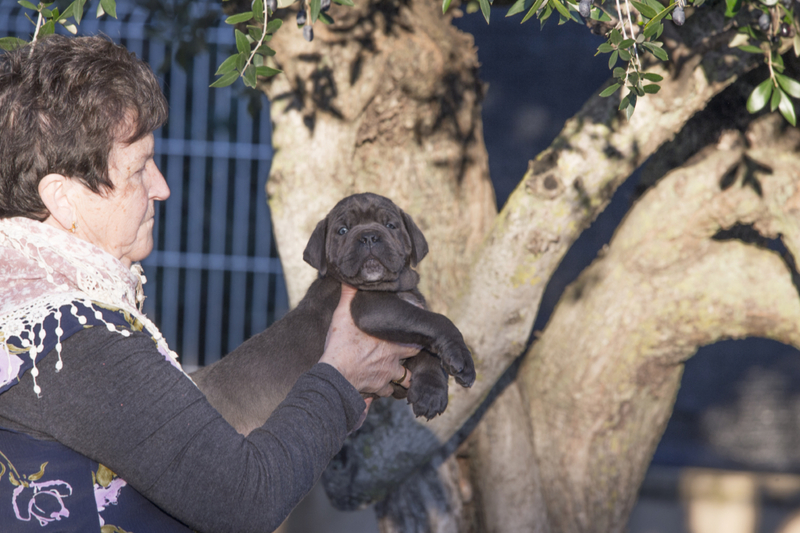 All this we do so that the puppy with 2 months is totally socialized, with the first stages of socialization, made, and when the final owner has his puppy is a wonderful puppy to enjoy. After this there is a long way to go, there are the phases of going to the city, the phases of riding our puppies in our cars and many more tests that will have to go little by little to overcome to have a puppy with an open mind.